Planning to go out and fish can be time consuming for some anglers. You must figure out what lake you’ll be fishing, what species of fish are there and what bait they are hitting. Furthermore, some lakes are very large so finding the best place could take up the whole day. That’s where NetFish comes in. 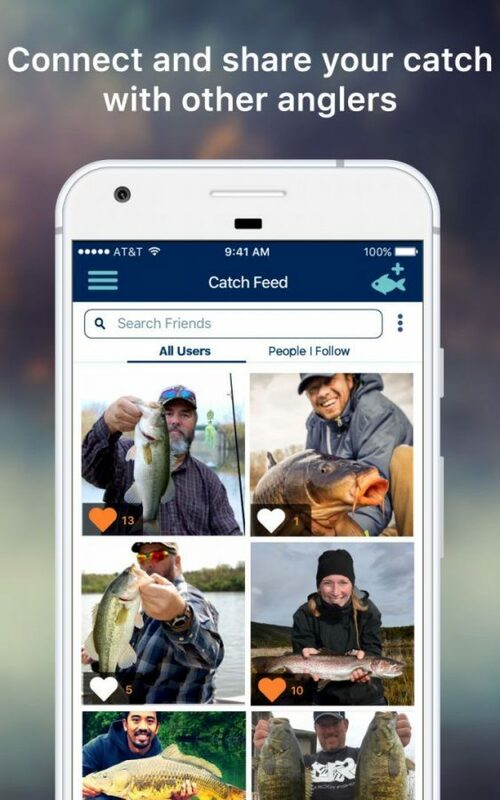 NetFish is a free social rewards app that predicts where fish can be caught on 10s of thousands of waterways in North America. NetFish is the creation of ReelSonar, Inc., the makers of iBobber, and it’s taking big data to the fishing community. By combining the data they’re measuring from the iBobber fish finder as well as other atmospheric and species information, NetFish is predicting where and when fish can be caught. The service directs the user on how they can catch different species of fish by suggesting lures and locations to fish. 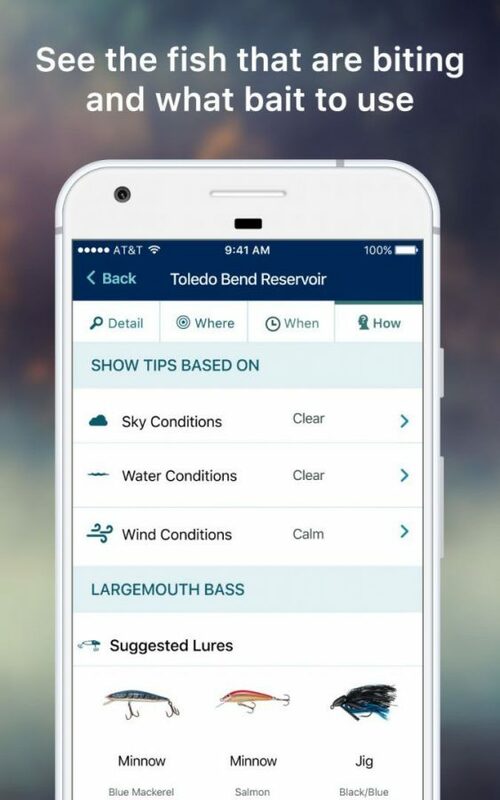 There are other fishing apps available, but all of them come with a monthly subscription to access these types of premium features. We wanted to find something that was free and still provided these features so we gave NetFish a spin. After setting up our account and profile, which we earned points for, we were directed into the NetFish catch feed. Here is where anglers can brag to the community about their catch. Users have the option to post publicly, only to their friends or completely private. Users can earn points for this task when posting publicly and it’s a great way to keep a journal of your past fishing experiences to revisit at a later date. Tapping on to the menu we jumped into Fishing Nearby. This is the core feature of NetFish and the main reason we think anglers will benefit from this app. 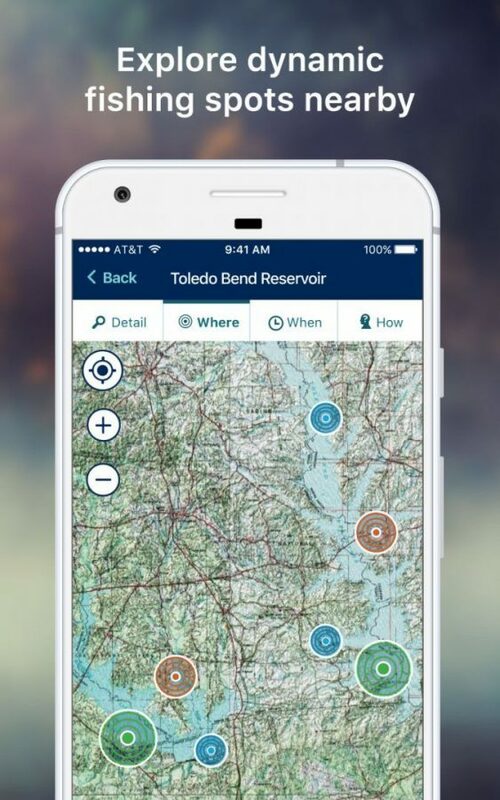 Here users can jump into nearby waterways or search 10s of thousands of other waterways in North America to get more details about them. The main details page presented us with general information about the lake such as fishing type, fees (if applicable), species in the lake and so much more. Tap over to the Where tab and we are presented with a map with a number of different fishing spots that NetFish recommends anglers fish. This is the predictive fishing feature of the app and NetFish is using millions of data points to accurately predict these fishing spots. These spots are dynamic, and unlike other fishing apps, these change with the seasons as well as a number of other data points that NetFish receives. The When tab will give you the best times to fish and the How tab recommends the lures to use based on the species you’re fishing for and conditions the user enters. We found these to be very useful when planning a fishing trip. 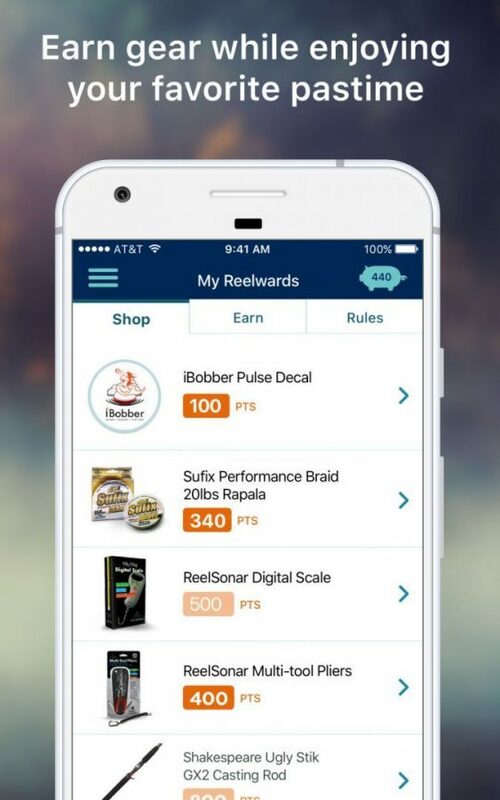 NetFish is a rewards based app and the NetFish Reelwards section is a place users can visit to see all of the rewards the app has to offer along with how many points you’ll need to redeem for them. Tap into the Earn section to get a list of tasks that you can complete and how many points you’ll get awarded for each. Most rewards apps take forever to get enough points to redeem but it doesn’t look like it’s hard to do when comparing how many points we’re getting for each task to how many points it takes to get some of the rewards. Those that plan on keeping their catch will benefit from the NetFish recipe sections where users can search for thousands of recipes and beverage pairings for multiple fish species.